His name is Bart Scheffers, a 20 year old Business Management student from Rotterdam. His business case adventure started last year when he was participating in a small competition at his study association. Besides studying and solving cases he is a fanatic rower at the student rowing society. If you can’t find him in the boat, he will be travelling somewhere in the world together with his camera! This year he is head of a small case battle competition for the Rotterdam Business School called ‘’The Battle of Business’’. After finishing his bachelor this year, he hopes to start with a master in Strategic Management at the Erasmus University. Is a third-year student Business IT &amp; Management at Rotterdam University of Applied Sciences. She has been living in Rotterdam for five years now, but originally comes from a small village in the south of the Netherlands. Just finished a full-time internship in the Business Intelligence &amp; Data Science department of a large bicycle retailer in the Netherlands. She is now focusing on working as a peer coach assisting in an international project of her study programme, which focusses on connecting student developers from Russia, Ukraine and Austria to Dutch students for a local project. LARS VONK. Born in the Netherlands, is a 4th year Business Economics student in the institute of financial management. He has built up international experience with students all over the world in his internship at General Motors in Germany as well as his International Business Pressure Cooker minor in Rotterdam. 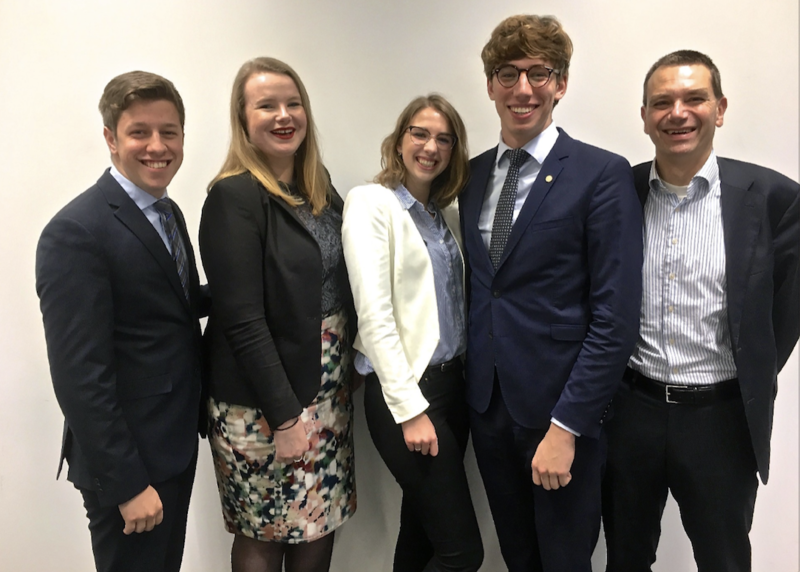 Participating in multiple courses regarding case solving made Lars enthusiastic to participate in a training boot camp in Germany as well as in the Rotterdam International Case Competition (RICC). In the future, he is interested in finding a job in the consulting or finance area. TIANA SCHIPPER, twenty years old is a fourth year Business Economics student. She was in her second year of her study programme when she was introduced to case solving and did a lot of training and got the opportunity to participate in the Rotterdam International Case Competition. In the future she hopes to have more case solving experience as a team and personally she hopes to use her case solving capabilities when applying for an accountancy &amp; consultancy graduation internship. Beside her normal program she is also a HP student, an honours programme. Tiana is looking forward to her first NIBBS competition.